Last year’s Climb 4 Concern to Carrauntoohil. Get your New Year’s resolutions back on track while doing your bit for charity with Climb 4 Concern! Concern’s annual fundraiser encourages people around the country to walk one of Ireland’s mountains, taking on a fitness challenge while taking in some breathtaking scenery. The challenge takes place over five dates and is open to anyone over the age of 18. While it is suitable for any fitness level, it is recommended that participants get walking now to start an easy training schedule. 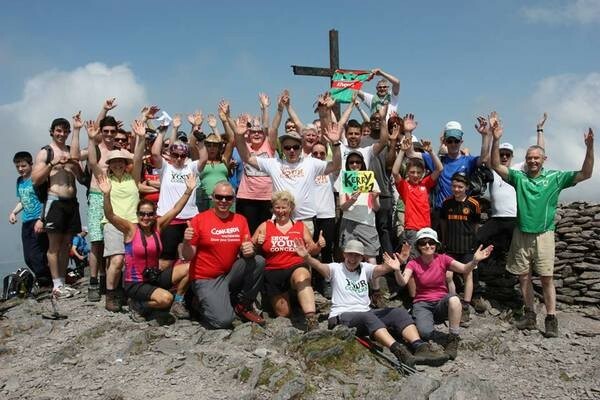 The dates are as follows: April 11, Donegal’s Mount Errigal; May 16 and 17, the Three Glens in Wicklow; June 6, Down’s Sliabh Donard; and on July 11, participants will take on Carrauntoohil in Kerry, Ireland’s highest mountain. The fundraiser winds up with the mammoth feat of a five-day trip around Great Britain to conquer its three highest national peaks: Ben Nevis in Scotland, England’s Scafell Pike and Snowdon in Wales. You can register and start your fundraising page here. For a full list of these and other Concern fundraising events, check out their website.